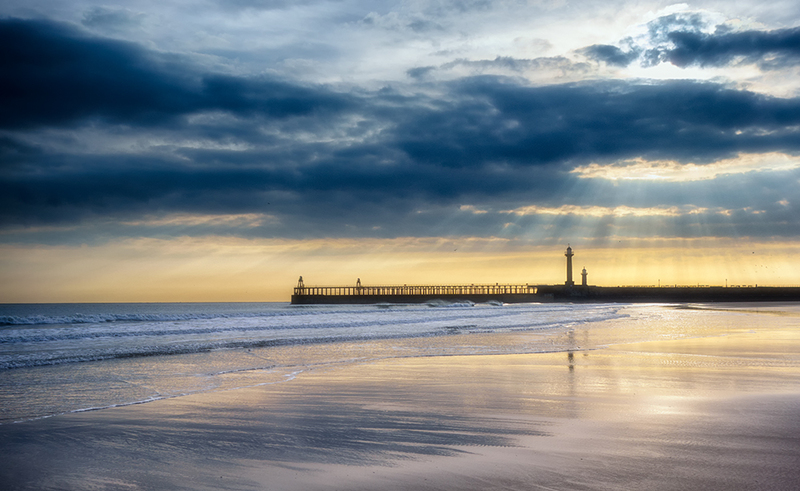 Whitby, captured on the Sony RX100 with 0.6 ND graduated filter. Post processing in Nik Color Efex and Viveza and a tweak in Photoshop. A couple of weeks back I was out with my friend Steve (who is also an Olympus EM5 owner) and we were discussing just how good this camera is. At the time we agreed that we didn’t want for anything so would stop all this chasing around after new kit and just work with what we have. Just two weeks on and I have ordered a Panasonic GM1. I just had a gut feeling that I needed one – I don’t know where the feeling came from but I tend to listen to my hunches. But hear me out (I need to justify this for my own piece of mind). I currently have two compact cameras, an LX7 and a Sony RX100. I like and am impressed by both but neither is perfect. Of the two, I would say I am least happy with the Sony and want to replace it. It’s not that I don’t like the Sony it’s that I just don’t love it. My intention with the GM1 is to use it as a replacement compact camera and potentially as my travel camera. I am hoping that by pairing up the GM1 with some of the great (small) lenses that I already own I can have a great compact kit. I will need to see how well this works before deciding to sell the LX7 (as I do love that camera) but the RX100 is going on eBay. Watch this space for my future experiences once I get the GM1 – it has just been reported to me as being out of stock. Robin, are you getting just the GM1 body or did you also succumb to the new 12-32mm lens? I’m really sad and gave in to buying both. I like how small the lens is once collapsed and hope it will make an ideal compact camera. It will be interesting to compare your observations with those of Michael Reichmann (Luminous Landscape). I hope that he got out of bed on the wrong side on that day! Hmmm! He doesn’t like the operation of the camera. Personally I like composing on the LCD and I don’t mind small controls (unless my hands are freezing). Sounds like it produces great image quality though which is top of my list. Why did it have to be out of stock!!!! This is a classic view of the pier, I know the area well and have walked in both directions on many occasions, it is one of my favourite haunts, although it has to be said I prefer it off season. That said it’s popularity is such that I don’t think it has one. It’s funny you had looked at and ordered what I had thought about, my thoughts did not translate into a purchase as yours did though. I hankered after the Ricoh GR which I got after about three seconds deliberation, and I have to say it has blown me away with its quality since I received it. It is so so portable, it slips in your pocket or my camelbak or pannier depending on which cycle I take. Yeah I know what you’ll say but it’s only got a fixed 28mm equivalent lens, yes it does, but what a stunning piece of glass it is. I have posted a few pics of late shot with it, it does have its negatives although they are not so bad as to be a deal breaker, the LX7 trounces it for close focus on macro and perhaps some versatility with the range of focal length but all of that is forgotten when I download the files and see that unique look which is so addictive. Sorry if this makes you think of yet another possible choice Robin, good luck with the new addition when it does come through I shall be popping back to see your results. I note that you have ordered a Panasonic GM1. Which have you ordered Panasonic Lumix DMC-GM1KEB-D or Panasonic Lumix DMC-GM1KEB-S? What is the difference between these two cameras please? It’s actually the DMC-GM1KEB-K that I ordered. I believe the DMC-GM1KEB-D is a nice Tan colour and the DMC-GM1KEB-S is silver and black. The unit I have ordered is pur black. So nothing to do with extras on the camera then. I note that the GM1 comes with a 12-32mm Lens. Is this lens a good one or is it a “kit” lens? Can you please just list the lens that you intend to pair this camera with. Many thanks. The 12-32 is a kit lens but you can also purchase it for around £200. I have seen mixed reports ranging from “it’s OK” to “it’s excellent”. As I already have a lot of Micro 43 lenses I will probably use it with any of them but most likely the Olympus 9-18, Panasonic 14mm, Olympus 18mm and Olympus 45mm.